Roger J. Cuffey was the recipient of a Bahamian Bryozoan Reef study grant through the National Science Foundation. STATE COLLEGE, PA, March 22, 2019 — Marquis Who's Who, the world's premier publisher of biographical profiles, is proud to present Roger J. Cuffey, Ph.D., with the Albert Nelson Marquis Lifetime Achievement Award. An accomplished listee, Dr. Cuffey celebrates many years' experience in his professional network, and has been noted for achievements, leadership qualities, and the credentials and successes he has accrued in his field. As in all Marquis Who's Who biographical volumes, individuals profiled are selected on the basis of current reference value. Factors such as position, noteworthy accomplishments, visibility, and prominence in a field are all taken into account during the selection process. Dr. Cuffey has been a professor emeritus of paleontology in the Department of Geosciences at Pennsylvania State University in University Park since 2007. Teaching on campus for 40 years, he was first hired in 1967 as an assistant professor before working his way up to full professor by 1979. Prior to his tenure in academia, Dr. Cuffey, while serving in the military, was a geographic pathologist for the Armed Forces Institute of Pathology in Washington, D.C., from 1965 to 1967 and a geologist, paleontologist and stratigrapher for the Kansas Geological Survey in Lawrence in 1962. 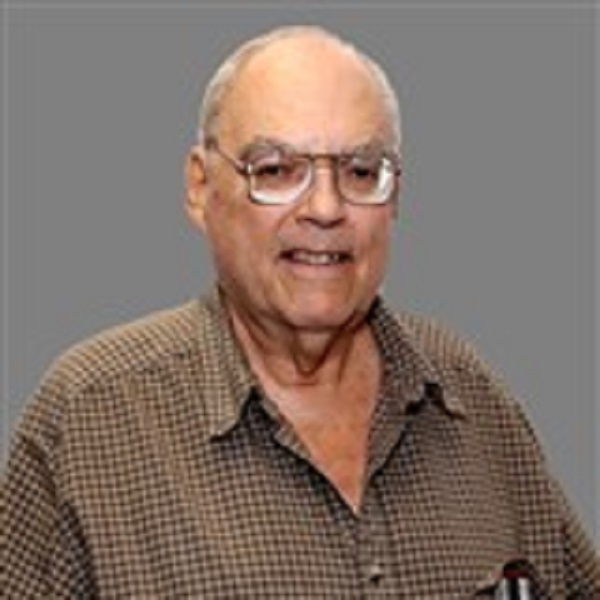 While teaching at Pennsylvania State University, Dr. Cuffey also served 10 years on the Treatise on Invertebrate Paleontology advisory committee at the University of Kansas in Lawrence between 1980 and 1990. He later became a visiting research professor at the Jianghan Petroleum Institute, now part of Yangtze University, in Hubei, China, in 1997. Additionally, Dr. Cuffey has served on numerous committees and advisory boards and has participated at many national and international conferences throughout his career. Dr. Cuffey has been responsible for the recognition and delineation of the roles played by ancient and modern bryozoans in reefs, reef-building and bryozoan evolutionary lineages. He has authored more than 300 articles and monographs in various scholarly journals throughout his career. Topics he has written about have included bryozoans in coral reefs, bryozoan-built reefs, fossil and modern bryozoans, vertebrates and paleoecology. Due to the huge impact Dr. Cuffey has made in the field, two fossil bryozoan species have been named in his honor: the Cuffeyella arachnoidea, which is from the Late Ordovician strata, is about 450 million years old and of the Cincinnati region; and the Diplotrypa cuffeyi, which is from the Middle Ordovician strata, is about 465 million years old and from the Canadian Arctic. Outside of the classroom, Dr. Cuffey has mentored and advised many young students in the field of the sciences. He has given talks to area civic organizations on fossils, reefs and dinosaurs and has advised pharmaceutical regulatory agencies on calcareous fossils and industrial organizations concerning paleontologically oriented materials and issues. Dr. Cuffey has also evaluated properties, estates and public lands for paleontological resources for various organizations. An elected fellow of the Geological Society of America since 1975, Dr. Cuffey maintains affiliation with a number of professional organizations in order to keep abreast of developments in his field. He is a longtime member and past president of the International Bryozoology Association and also holds membership with Paleontology Society, the Society of Vertebrate Paleontology and the Society for Sedimentary Geology. Dr. Cuffey notably served as a book review editor for the Paleontology Society's Journal of Paleontology between 1970 and 1975. The recipient of a Bahamian Bryozoan Reef study grant through the National Science Foundation, a Woodrow Wilson national fellowship and several graduate fellowships through the National Science Foundation, Dr. Cuffey also received several awards for his career. Honored with a 1989 Outstanding Teaching Award from Pennsylvania State University, he also received a 2003 Owen Award from Indiana University and a 2003 Bellis Award from Pennsylvania State University, among others. Dr. Cuffey has been cited in the second edition of Who's Who in Science and Engineering and the fourth edition of Who's Who in American Education. Prior to embarking on his career, Dr. Cuffey earned a Bachelor of Arts at Indiana University in 1961. Following this accomplishment, he continued his studies at the University of Michigan in Ann Arbor, completing postgraduate coursework from 1962 to 1963. Returning to Indiana University, he completed his education with a Master of Arts in 1965 and a Doctor of Philosophy in 1966. Dr. Cuffey was certified as a professional geologist in the state of Pennsylvania from 1994 to 2007. In recognition of outstanding contributions to his profession and the Marquis Who's Who community, Dr. Cuffey has been featured on the Albert Nelson Marquis Lifetime Achievement website. Please visit www.ltachievers.com for more information about this honor.